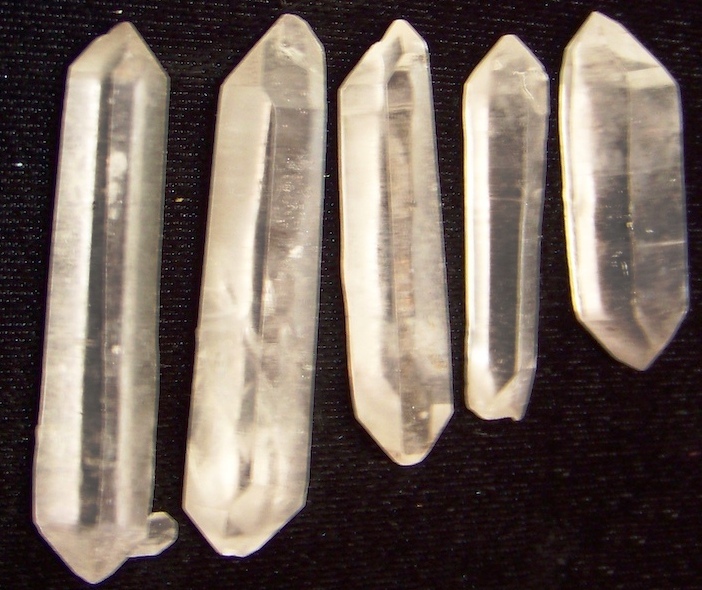 Double Terminated Quartz Points. Origin: Arkansas (Set of 5) Sizes range from 1-1/2" to 2" by 3/8". Total Wt: 32.86 grams.